Kapka Stoykova is SME Instrument Business Coach for the European Commission, Executive Agency for Small & Medium-sized Enterprises, Horizon 2020 program. Certified as а coach in 2006 by the International Coaching Institute (ICI Coach, Geneva) and as a mediator in 2016. She has 19 years of international experience in various human resources development practices. Kapka has had professional involvement within national and multinational companies (from 5 to 20 000 employees) in the business sectors of power engineering, chemical industry, manufacturing, telecommunications, sales, pharmaceuticals, FMCG, facilities management, finance, IT, NGO, customer services etc..
She graduated Computer Engineering in Russia and Political Sciences in France. In the beginning of her career, she acted as IT support in the public, and in the bank sectors. While living in France, she was Project Manager within the EU Program ‘Employment NOW’, located in the Training Center of the Craftsmanship Chamber of Loire-et-Cher region, France. Till 2000 she has been working in the fields of Recruitment, Training, and Development. 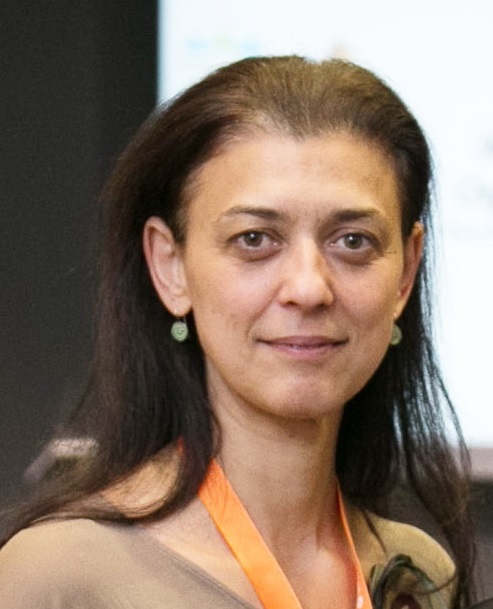 She has also worked as Training and Development Manager at Solvay Sodi AD, as a Corporate Senior Manager Recruitment, Training, and Development for the Bulgarian Telecommunication Company, and as a Head Hunting Consultant for Alexander Hughes Bulgaria. 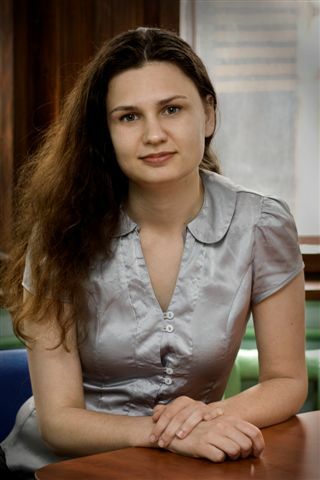 Mariya Trifonova is Trainer and HR consultant. She is a Psychology graduate at Sofia University and has a specialization in DVV Bulgaria in the field of adults' learning and competence development. Mariya has worked on projects for organizational development, assessment and development centres, management development, performance evaluation, individual development, internship program and outplacement. Mariya is certified trainer. She is also certified to use different methodologies for personal assessment and potential identification such as SHL, MBTI, and other. She is experienced in working with target groups from different sectors (telecommunications, pharmaceuticals, sales and distribution, finance, insurance, manufacturing) and at various ages (pupils, students, workers). Mariya has an MBA degree from Lunds University, Sweden. 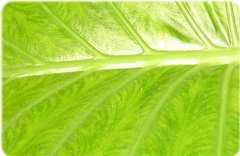 In 2008 Kapka and Mariya established Development Zone Company. Georgi Deyanov is managing partner of GD Bulgaria. He became trainer and management consultant in the team of Development Zone since september 2017. 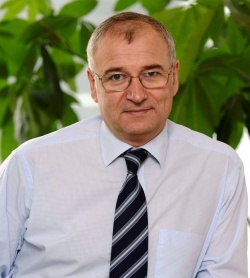 Previosly he was member of the Board of Directors since 2008 and - Executive Director of “EKO Bulgaria” EAD since 2012. Before to become a CEO, he was on the position of Finance and Administration Director in the company, where he works since 2005. 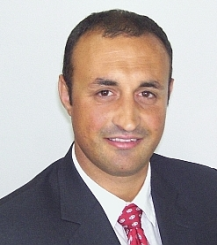 Prior to joining “EKO Bulgaria” EAD, Georgi was Finance Director in “Toyota Balkans” responsible for Bulgaria, Romania and FYROM, Finance and Administration Director in “Sarantis Bulgaria”, as well as, Finance manager in “Interlease” AD and “Kraft Foods Bulgaria”. He holds a Master degree of Industrial Business from the University of National and World Economy in Bulgaria. He has specialized “Effective Management”, “Relations with end customers and business clients” and “Accounting for managers” in the Open University - UK. Ivan Dimitrov is a trainer and facilitator in the team of Development Zone since 2011. Currently, Ivan works as a Portfolio Manager at UBB Asset Management. Previously Sales Manager in Walltopia, Manager Corporate Clients at Credi Agricole, Management Consultant in New Europe Corporate Advisory and English teacher at the Center Diva. Ivan has many years of experience teaching children and adults. He was a volunteer in Junior Achievement and Social Development Trust. He has many years of experience as a business mentor and trainer in finance, statistics, economics and intercultural challenges. Ivan is a Certified Financial Analyst CFA. He graduated Master of Philosophy at Sofia University and an MBA from the University of Oklahoma, USA. Milka Marmarova is a lean trainer in Development Zone team since 2012. She is a professional with proven experience in lean management, quality management and packaging. A highly skilled practitioner in analysing and elimination of losses in managing and production processes, planning, organization and realization of production schedules, team training and motivation. Currently, Milka is Manager Manufacturing Section in Mondelez Bulgaria Production. Previously, QHSE Manager in Carlsberg Bulgaria AD and Head of Chocolate products and Quality Representative in Pobeda. Milka has a Master in Technology of Sugar products. Kiril Traptchev is a trainer and Network and System Administrator in the Team of Development zone since 2008. Currently, Kiril works as Computer Communication Analyst at Global Communication Net AD.Previously Save Desk Manager in Bulgarian Telecommunication Company and TV Sat Shop Manager in SkyDigital. Kiril has many years of experience as a mentor and trainer in customer care corporate systems, MS office and job search technics.He is a Cisco Certified Network Associate and has Network and System Administration certificate by Information Services Plc. 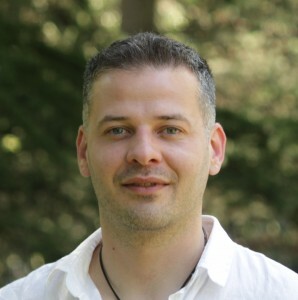 Kalin Georgiev is a mindfulness trainer and psychology counsellor. He became Development Zone partner in 2015. Kalin has found Otpuskane.com in 2013 where he works on mindfulness, meditation, self-awareness, art terapies and applied neuroscience. He is a Psychology graduate at University of Veliko Tarnovo and Philosophy of consciousness and language at Sofia University. Kalin is а member of Bulgarian Psychological Society and PR of Bulgarian Institute for Gestalt Therapy. We speak English, French, Russian and Bulgarian.